During the late 1970’s and early 1980’s it appears that Leyland Australia, and later Jaguar Rover Australia (JRA), made the most of various alpha/numeric registration plate combinations available through the New South Wales (NSW) Roads and Traffic Authority (RTA). In New South Wales circa 1979/1980 the RTA was issuing ‘J’ and ‘K’ prefix registration plates. Some early SD1 road test vehicles in Australia carried registration plates from this sequence, for example, JXP.667 (issued 1979) or KHZ.467 (issued 1980). However, during the same period a number of the promotional vehicles were registered with the ‘SDI’ alpha sequence. Road tests from this period, many of which are located elsewhere on this web site, show a number of SD1 vehicles wearing registration plates between (approximately) SDI.000 to SDI.014. The ‘S’ registration plates in use at this time would have been specially ordered as they were not due for release in NSW until some years later. The issuing of alpha sequence ‘SDI’ is likely to have occurred circa 1990/91. Similarly, a promotional Triumph TR7 of the same era was plated UFO.005 – a play on the acronym for an ‘unidentified flying object’ or UFO. These too must have been specially requested through the RTA. Also available through the NSW RTA were registration plates of any alpha and/or numeric sequence. These types of plates are fairly common now, but in the early 1980’s these were rarer and unique, and a handy promotion tool. For example, circa 1983/84 ‘JRA’ (an alpha only plate of three characters) was affixed to Jaguar Sovereign 4.2, whilst ‘SNOW’ made it on to a promotional 4-door Range Rover. Also during 1983/84 it is interesting to note that the SDI.013 registration plate had moved from an SD1 and was seen in a road test affixed to a Land Rover 3.9D. 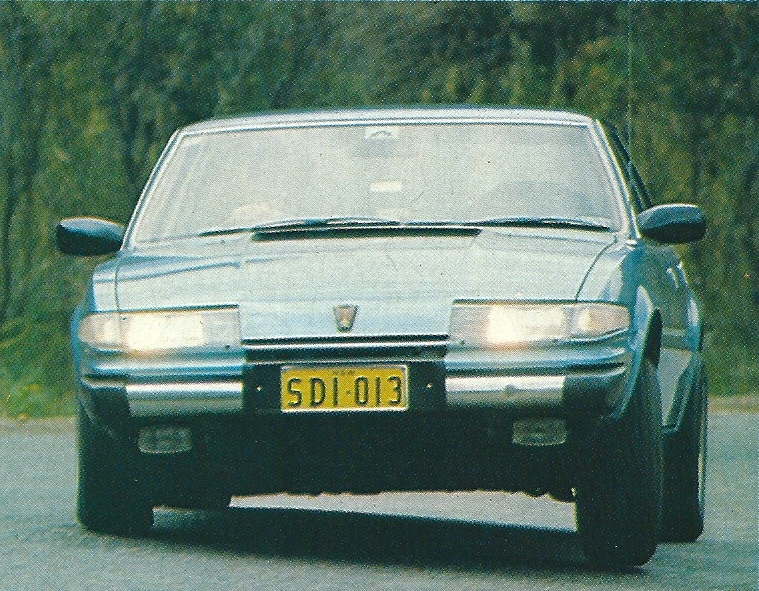 By 1986/87, the SD1 was all but finished in Australia but a road test on a Rover SD1 Vanden Plas showed it wearing VDP.001. Each of the eight states and territories or jurisdictions that make up Australia has a separate vehicle registration authority, and it is possible to have the same combination of letters and or numbers issued by multiple vehicle registration authorities. Whilst each issuing authority has a standard colour set, choice of colour is an optional extra, as are most combinations of letters and or numbers. 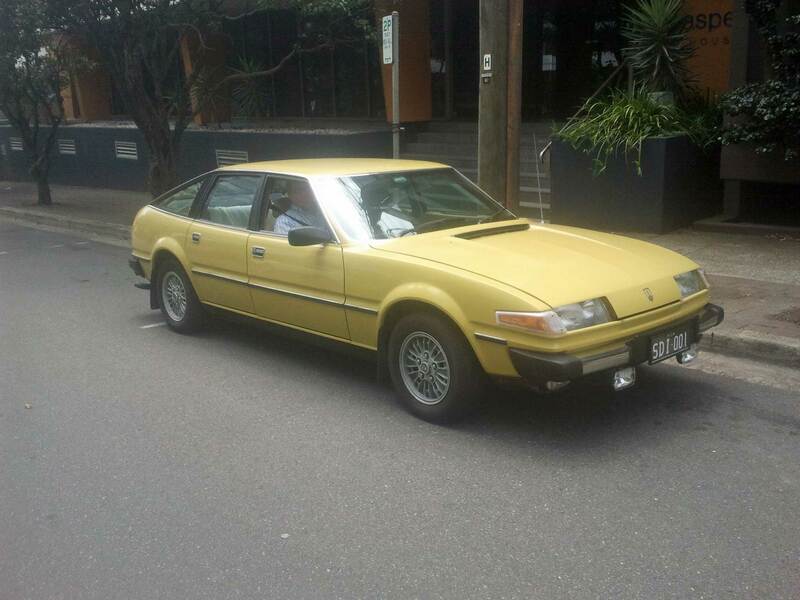 Above: 1979 Rover 3500 SD1 with personalised NSW number plates SDI-001. This car was sighted in St Leonards, Sydney, NSW on 9 January 2014.